Produced for Dark City Gallery’s Horror Movie Series, This is Dan’s third contribution and an absolute gem. Based on David Cronenberg's 1986 movie 'The Fly'. It's a 9-Screen, hand pulled silkscreen print (including spot varnish on the black). 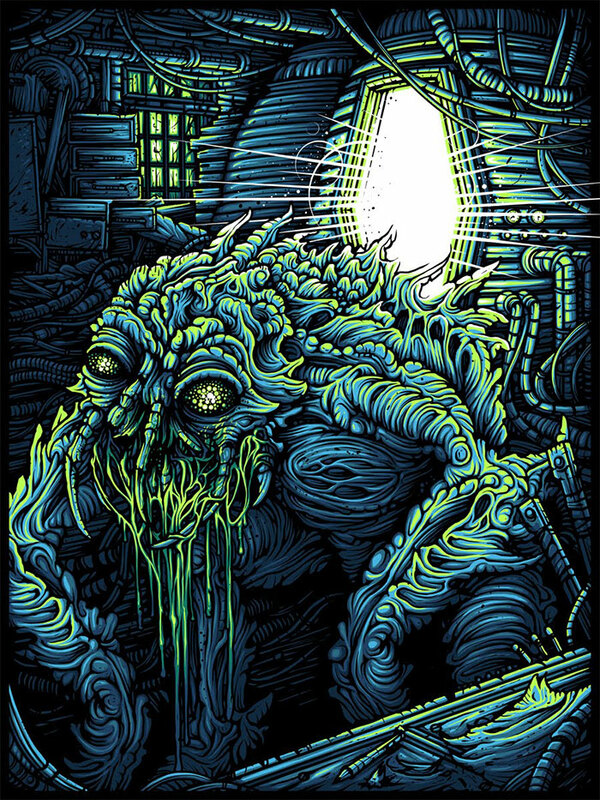 It has a limited edition of 100, each print is hand numbered and signed by Dan Mumford. It is priced at £30.00 and is available through Dark City Gallery. The Fly is a 1986 American science fiction horror film directed and co-written by David Cronenberg. A brilliant but eccentric scientist (Jeff Goldblum at his best) begins to transform into a giant man/fly hybrid after one of his experiments goes horribly wrong.